The Best Property Investment blogs from thousands of top Property blogs in our index using search and social metrics. Data will be refreshed once a week. 2.20 AssetRover: Real Estate Investing Simplified! Property Investment newsletter is a comprehensive summary of the day's most important blog posts and news articles from the best Property Investment websites on the web, and delivered to your email inbox each morning. To subscribe, simply provide us with your email address. New York, NY About Blog National Real Estate Investor is the leading authority on commercial real estate trends. The magazine's readers represent a cross-section of disciplines brokerage, construction, owner/development, finance/investment, property management, corporate real estate, and real estate services. Facebook fans 5,446. Twitter followers 11,531. Memphis, TN About Blog MemphisInvest.com is a family-owned real estate investment firm providing turn-key investments for real estate investors. Here you will find tips for real estate investors and news about the real estate investing world. Facebook fans 27,175. Twitter followers 36,936. Australia About Blog Realestate.com.au is Australia's most popular real estate website and community. Whether you're looking to buy, sell, rent or share, we have the tools available to help you find the perfect place. Get Property investment tips, insights, how-tos & guides to investing in property. Facebook fans 437,604. Twitter followers 72,681. Melbourne, Australia About Blog PropertyUpdate.com.au is Australia's leading property investment wealth creation website with tips, advice and strategies from leading real estate investment experts. Do you want to create financial independence through Property Investment? Use our articles from leading experts as your guide! Facebook fans 9,337. Twitter followers 46,609. Worldwide About Blog Global Property Guide is a site for residential property investors who want to buy houses or apartments in other countries. The authoritative source of information on buying overseas property. Compare countries on the basis of rental yields, taxes and investment prospects. Facebook fans 3,094. Twitter followers 2,197. Facebook fans 5,849. Twitter followers 4,302. Mountain View, CA About Blog Comprehensive up-to-date coverage for property investment, aggregated from news sources all over the world by Google News. Facebook fans 22,390,655. Twitter followers 212,891. Malaysia About Blog StarProperty.my is a platform for the latest projects and real estate properties available to property investors. Find the latest & best real estate projects in Malaysia. Smarter Property Research with the latest developments, new launch properties, market trends and news! Facebook fans 50,856. Twitter followers 5,197. UK About Blog Upad is the UK largest online letting agency: rapidly growing and disrupting the traditional high street letting agent model. Our mission is Empowering Landlords to take control of their property. Get Tips, advice and updates for Landlords from the UK's most progressive lettings specialist. Facebook fans 4,343. Twitter followers 7,967. About Blog InvestorCarrot Real Estate Investor Websites templates & inbound marketing software help grow your investing leads. To empower entrepreneurs to make a bigger impact, leave a bigger legacy, and live a better lifestyle by better leveraging the internet and proven marketing strategies to reach more people. Facebook fans 6,649. Twitter followers 407. Worcester, MA About Blog Financial independence, passive income, and achieving the lifestyle you deserve by becoming financially sound, changing your mindset, and investing right. This is a collection of the best real estate investing articles on the web. This real estate investing blog has 100s of articles. Facebook fans 8,160. Twitter followers 2,027. London About Blog The Monevator blog has helpful articles that are aimed more at the money/mortgage element of property investment. Facebook fans 2,138. Twitter followers 6,205. 20. AssetRover: Real Estate Investing Simplified! Cedar Rapids, IA About Blog AssetRover is a unique technology company whose primary aim is to simplify real estate investing through education and powerful investor-grade tools to help you save time and money. Mission to take the effort and guesswork out of real estate investing! Facebook fans 336. Twitter followers 2,527. Surrey About Blog Property Venture®, is an independent, UK-based firm helping enrich busy people's lives through European property investment. Facebook fans 199. Twitter followers 2,972. San Antonio, TX About Blog Real estate investor website templates made by investors, for investors. Get your real estate website live in 15 minutes and start generating motivated leads! We Provide innovative solutions to online lead generation for real estate investors. Facebook fans 145. Twitter followers 602. Australia About Blog The Australian Property Investor Magazine blog contains content you won’t find in the physical magazine. The articles cover various topics, including tips on how to be a better investor, market updates, changing laws, interest rates, recent statistics, property cycles, and more. Facebook fans 10,999. Twitter followers 21,643. About Blog Property Crowd is an independent marketplace platform offering property crowdfunding investments exclusively to institutional and professional investors. Get the latest news and insights about professional property investment, property crowdfunding, the UK property market, and fintech. Facebook fans 281. Twitter followers 1,065. Buffalo, NY About Blog National Real Estate Investors Group is a nationwide group of real estate investors and business owners. Real Estate Investing Education helps new investors thrive and seasoned professional excel in a promising career. Follow our blog for everything REI! Facebook fans 3,452. Twitter followers 6,463. Chicago, IL About Blog A top-ranked commercial real estate firm with almost $500 million in assets under management. Empowering real estate investors with streamlined ways to select and manage investments, from anywhere. Facebook fans 497. Twitter followers 1,008. Jacksonville, FL About Blog JWB Real Estate Capital is a privately-owned real estate investment, operating and management company focused on building Fund Portfolios of single-family rental properties in Jacksonville, FL. Find More About Building Passive Income Through Turnkey Rental Property Investing. Facebook fans 3,465. Twitter followers 615. Connecticut About Blog Real estate investment analysis software for commercial and residential property, and for commercial, subdivision, land, mixed-use and condominium projects. Mission to create solutions for real-life real estate investment and development situations. Facebook fans 1,303. Twitter followers 1,480. About Blog This real estate investing radio blog is in Q&A format to provide answers to all of your real estate investing questions with the help of their excellent team of advisors. The hosts of The Real Estate Guys Radio Show share news, views, information and strategies on real estate investing. Facebook fans 11,612. Twitter followers 581. Worldwide About Blog The Real Estate Investment Network is Canada's leading real estate research and education company that has been supporting real estate investors since 1992. REIN is dedicated to educating its members about how, where and when to buy Canadian real estate. From networking with other active investors, to having direct access to leading-edge experts. Facebook fans 21,732. Twitter followers 15,250. Barclays Plaza,Loita street About Blog Optiven Limited is a Real Estate company founded to empower property investors in Africa. Our flagship product is Value Added Plots which have been transformed and made suitable for immediate settlement and futuristic capital gain focus. Facebook fans 33,695. Twitter followers 12,204. New York, USA About Blog The Jake & Gino's Blogs provide specialized knowledge on multifamily real estate investing, multi-family real estate, multifamily properties, apartment investing, apartment buildings and apartment complexes. Facebook fans 11,517. Twitter followers 1,511. About Blog helps property investors gain financial independence through Smart Property Investments across Australia. We educate and mentor investor clients through seminars, face-to-face meetings and regular information updates. Facebook fans 8,817. Twitter followers n/a. Cannes, London, Asia About Blog Global Real Estate Experts is the first collaborative platform exclusively built for experts and professionals within the global property sector. Get an inside look at the world of real estate investment with dedicated articles and exclusive interviews with real estate investors. Facebook fans 42,884. Twitter followers 15,118. Singapore About Blog Notes from a Singapore property investor. The mission of this blog is to share my experiences as a property investor in Singapore and to exchange ideas with fellow investors on accumulating wealth through properties. Facebook fans 6,793. Twitter followers n/a. United States About Blog At Think Realty, we believe in the life-changing impact of successful real estate investing and are dedicated to being the go-to partner for new investors and seasoned professionals. With a goal of helping individuals and businesses profit from real estate investment, the Personal Real Estate Investor Magazine blog provides readers with the information they need to be successful in real estate. Facebook fans 6,686. Twitter followers 2,884. Melbourne, Victoria About Blog OpenCorp offers customers the opportunity to invest in well-located investment properties and expertly managed development projects. Whether you are a first-time or experienced investor, OpenCorp has the resources and knowledge required to guide you on your investment journey. Facebook fans 10,582. Twitter followers 1,579. Facebook fans 11,057. Twitter followers 380. North Melbourne, Melbourne About Blog Empower Wealth are a team of qualified, experienced advisors who provide tailored, independent property and financial investment advice in Melbourne. The Empower blog has a wealth of information, tips and professional advice across property investment, financial planning, mortgage broking and more. Facebook fans 2,011. Twitter followers 1,520. London, England About Blog Cogress is an exit-oriented property investment company that offers a private equity platform connecting property developers & investors. Cogress is here to keep you up to date with property and investment news and give you the best property investment advice. Facebook fans 5,557. Twitter followers 2,410. Los Angeles About Blog Epic Real Estate Investing shows people how to invest in real estate and achieve financial freedom so they can retire in the next three to five years. We will Show You How to Invest in Real Estate, or We will Do it For You. Facebook fans 17,825. Twitter followers 5,580. Brno, Czech Republic About Blog CZECH POINT 101 is a property agent with offices in Prague, Brno, Ostrava, Olomouc, Zlin and Hradec Kralove. We are focused on investment real estate. A blog offering free info on all things related to real estate and property for foreigners in Czech Republic including purchase, sale and property management. Keeping up with the latest Czech Republic property investment. Facebook fans 1,246. Twitter followers 1,098. About Blog Investor, author and founder of Norada Real Estate Investments, a real estate investment company offering turnkey investment property in US growth markets. Blog by Marco Santarelli. Facebook fans n/a. Twitter followers 123,636. Las Vegas, NV About Blog Jason Hartman and his team of experts provide real estate investors with top-notch Real Estate Investment Properties and education nationwide. Jason blogs to provide real estate education and resources for all areas of income property investment needs. Facebook fans 8,180. Twitter followers 26,304. Cape Town About Blog South Africa leading print and online magazine and targeted at investors who want to build wealth through property investment. REIM is designed to be a helpful guide that provides readers with valuable advice, tips and actionable information investors and landlords need to make better investment decisions. Facebook fans 12,062. Twitter followers 3,863. Australia About Blog Positive Real Estate is one of Australia's leading property investment mentoring groups. With a nation-wide network of coaches, we train our clients to excel. Renowned for sourcing properties that offer high rental or capital yields at a low entry point, Positive Real Estate shows clients how to maximize the growth of their property portfolio without reducing their serviceability. Facebook fans 47,733. Twitter followers 3,084. United States About Blog Real Estate Investing Today is the news Site for National Real Estate Investors Association (NREIA) and features updates on Legislation and Market Trends. London About Blog UK Property Investment Company with offices in London, Liverpool and Manchester offering the highest yield property investments and exclusive buy to let opportunities. A long standing and trusted property investment company specializing in the buy to let property market, and with exclusive access to unique developments. Facebook fans 2,611. Twitter followers 2,573. Los Angeles, CA About Blog We are a boutique real estate investment referral company ready to help you buy hands-off rental properties and create your lifestyle design! Providing real estate investment education and helping connect investors with reputable companies, the Hipster Investments blog is an excellent source for real estate information around the world. Facebook fans 2,146. Twitter followers 2,409. Cronulla, Sydney About Blog Pure Property Investment specialises in sourcing investment properties to suit our client's financial goals. We aim to understand our client's financial position and their financial goals. We educate our clients on the principles of property investment and create investment strategies that will overtime build pure financial freedom. Facebook fans 4,411. Twitter followers 377. About Blog Looking for landlord resources? Want to learn how to be a landlord? Then The Educated Landlord where you can find resources, tips and articles here. Atlanta, Georgia About Blog Atlanta REIA is an Atlanta Georgia Real Estate Investors Association for those interested in real estate investing for fun and profit. Facebook fans 9,289. Twitter followers 8,494. About Blog Sharon has been a real estate investor since 1998 working with her daughters and providing coaching for other real estate investors. She blogs to share her experience of escaping the 9-to-5 life and help others find joy in doing the same. Facebook fans 393. Twitter followers 5,425. About Blog Which Investment Property provides you all the latest property news, data and investor stories from across Australia. Articles written by industry experts on a number of topics ranging from investment advice to property tips. Facebook fans 132. Twitter followers 39. United Kingdom About Blog provides UK based property investments to a global audience of investors. Experienced in providing commercial property deals to retail investors. We write a lot about property investment, UK and Overseas Property, better investing practices, industry news and lots of tips from our investment blog. Facebook fans 2,222. Twitter followers 16,665. About Blog AccidentalRental.com is a resource for investors just starting out in the real estate business – especially new landlords. A place where you can learn from others facing the same challenges you will eventually face as a real estate investor. From how to manage a rental property, how to track your cash flow, etc. My goal is to enrich others who are just starting out on their real estate business. Johannesburg About Blog Organic Growth is an organisation that has grown out of the discovery of how the rich often attain their wealth and continue to grow it. We specifically focus on buy to let properties in order to create wealth through our investment properties. We offer investment solutions that teach you how to invest to achieve maximum growth. Facebook fans 20,919. Twitter followers 9,882. Australia About Blog Commentary on tax depreciation, property investment and construction economics. Investment property tax depreciation allows you to claim a tax deduction for the wear and tear of the structural elements. Frankfurt, Germany About Blog The widest-read source of news-intelligence on pan-European professional real estate investment, Property Investor Europe is trusted primary reading for institutional executives and capital allocators across the world. PIE's mission is to deliver high-value news and market intelligence to US & global investors for property decision-making in mainland Europe. Facebook fans n/a. Twitter followers 713. Los Angeles/Santa Barbara About Blog You've found the fastest-growing real estate investing magazine in the nation! Realty411 has been leading the REI industry since 2007. Learn from some of the TOP leaders around the nation today. Facebook fans 1,776. Twitter followers 2,442. BH1 2EF About Blog Platinum Property Partners is the world’s first property investment franchise and a full member of the British Franchise Association (bfa). Our franchise model gives you unique training and support to start and grow your own eCommerce business to the size and level of income you want. Facebook fans 691. Twitter followers 1,685. Auckland About Blog The Auckland Property Investors' Association (APIA) is an independent, non-profit organisation developed to provide professional development and networking opportunities for its members – property investors and other professionals involved in the property market. Learn all about property investment from Auckland's only non-profit property educator helping investors to dream big and achieve more. Facebook fans 2,554. Twitter followers 839. United Kingdom About Blog At Grant Property, we help people invest in residential property, and create safe, affordable flats and houses to rent across the UK. We have a highly knowledgeable team who are here to help. You will have one experienced person through your investment journey. Facebook fans 18. Twitter followers 1,126. Bradenton, FL About Blog Equity Builders Group and Larry Arth are pleased to present this website listing turnkey properties for sale, real estate investing listings and REI info. From a team of seasoned investors, this blog offers tips about investment opportunities based on evaluations of emerging markets to determine where and when you can get the best deals which yield the best profits. Facebook fans 684. Twitter followers 6,449. Melbourne, Australia About Blog CashFlow Capital's blog is focused on the trends in the Australian property market. Spiro Kladis talks about changes in the interest rate, property boom and bust cycles, as well as how changes in the government affect investments. You can also use the site to help you find cash flow positive properties. Facebook fans 15,410. Twitter followers 998. Atenas, Costa Rica About Blog We invite you to browse our Real Estate offerings and to marvel at our sustainable eco-projects. We hope to help you find your own piece of paradise in one of the most beautiful places in the world. It is never too late to live your dreams. Facebook fans 4,493. Twitter followers 234. Sydney About Blog 37 Property Group is a property investment and buyers agency company focussed on helping clients amass substantial property portfolios. Fast growing Sydney Buyer's Agents / Buyer's Advocates will find you investment property solutions. Save time & money in Sydney, Brisbane, Melbourne. Facebook fans 96. Twitter followers 1,116. Charleston, SC About Blog After catching the real estate bug in college, Patrick Riddle head first into real estate investing and perfected the art through much trial and error and now writes his blog to help other investors learn from his experiences. Facebook fans 1,083. Twitter followers 7,808. About Blog Get help finding the right investment property. Discover how to pay off your home sooner and still invest. Let us help you understand how you can afford it. Find out how you can successfully invest in Melbourne! Mission is to find you the best property, and give you the best advice. About Blog Rentvesting Podcast provides valuable insights on property investment brisbane for property owners, investors or those who looking to get into the market. If you're a property owner, investor or looking to get into the market this Podcast will help cut through the hype, look at the facts and draw on decades of experience to help you make smarter property decisions. Australia About Blog Destiny empowers property investors to achieve their financial goals by providing education and support services. The company was started in 1994 from Reuben and Margaret Lomas' spare bedroom, and today has expanded throughout Australia. Mission is to improve the collective economy by strengthening the financial position of the individual. Facebook fans 5,426. Twitter followers 1,165. Nerang, Queensland About Blog A blog for successful property investment : Australia property market update, Custodian podcasts, food for thought, numbers, mind power. At John's blog you will be able to get the latest update on Australia real estate market update, experts' tips on your finance and more importantly how to live a purposeful life. Waterloo, ON About Blog The BDO Real Estate Investor blog is for the small to medium-sized real estate investor. George Dube and Peter Cuttini are real estate investors and accountants who want to share their knowledge to help other investors improve their businesses. Facebook fans 316. Twitter followers 1,484. Melbourne, Australia About Blog Metropole is Australia's leading firm of property strategists who give home buyers independent and unbiased property advice. Looking to buy, invest, renovate or develop? Metropole are Property Buyers Agents & Real Estate Investment Strategists in Melbourne. Get sharing tips and commentary about success, property investment and money from a range of leading experts. About Blog Africa's No.1 Property Investment News portal covering Commercial Real Estate Markets, Residential sector and Construction Industry. Facebook fans 39,930. Twitter followers 3,433. Sydney, Australia About Blog The Property Investment Blog is Australia’s Leading Investment Property Blog specialising in property investment strategies, guides for new investors and general property investment topics. This blog is updated on a daily basis with content that will help a common property investor as well as property investing experts. Facebook fans 529. Twitter followers 1,512. About Blog eaturing new property launch and existing property launch-Residential, commercial and industrial properties. About Blog We’re the best source for Florida real estate investors to find great discount and investment property in the Florida. Facebook fans 1,974. Twitter followers n/a. Global, HQ in Oxford, UK About Blog Property Frontiers is one of Europe’s leading firms specialising in the international property investment market. With a reputation for offering the best international properties, eco and green investments we have won respect by acting as a regulated company in a largely unregulated market. Get to know us and follow our latest adventures both in the office and further afield. Facebook fans 4,884. Twitter followers 3,341. About Blog Australian residential property has consistently proven to be a high-performing asset class for investors. Aquila Property Investment values the hard work and sacrifices people make to be able to invest in their future. We help our clients to buy better investment properties, through independent research, assessment and buyers agent services. London About Blog Our investments Care Home Investments With a rising elderly population and the demand for care forecast to increase by 150% within the next 4 years (OFT). Get Current trends, news & product releases. UK property investments, high yielding income generating assets, student property, care homes & buy-to-let properties. New Zealand About Blog One of New Zealand's leading residential property investment companies. 12 years experience. Registered Master Builders. Specialists in high yield residential investment property. Get Investment property news, tips and tricks - helping you to develop a portfolio of high-yield, hassle-free investment property. Facebook fans 6,716. Twitter followers 1,161. North Lakes, Queensland About Blog Integrity Property Investor Services is Australia's leading full service property investment firm that supports everyday Australians to dramatically grow their personal wealth. We provide the necessary education, mentoring, research, property selection, and other services essential to being a successful property investor. Facebook fans 9,319. Twitter followers n/a. Vancouver Island, BC About Blog Just Listed Alberni’s real estate blog provides helpful articles on a wide array of real estate topics and Port Alberni specific topics. Facebook fans 1,069. Twitter followers 10,439. Melbourne. Sydney. Brisbane. About Blog Investors Direct are a full service financial services firm focused on growing wealth through property investing in Melbourne, Sydney and Brisbane. Our mission is to help our clients achieve and maintain their financial freedom. Facebook fans 1,265. Twitter followers 707. St Paul, MN About Blog Do you see the Market getting Stronger, Weaker or Staying the Same? Follow my blog for more information. New Zealand About Blog PrivateBuyer.co.nz is my place to rant about property investment and all that goes with it. The tenant problems, financial questions, maintenance and planning. Facebook fans 13. Twitter followers 2. Singapore About Blog Wise Guru provides Australian property investment, advice of Singapore expats and locals living for investing in Brisbane & Property Market.in Australia. Get the latest news related to Australian Property Market & House Prices. We have expats that work with clients across Singapore and the Asia-Pacific. Facebook fans 827. Twitter followers 87. Sydney Australia About Blog Calla Property experts help you to get into the property market through education and strategy and we can even help find you a property -at no cost to you. We are investment property specialists. We believe that property investment is a great way to reach your investment goals and retire well. Facebook fans 767. Twitter followers 75. Sydney, Australia About Blog Michael believes the key to getting started in property investing and doing it correctly is to get well educated from trusted sources. This blog was created to keep things simple and to explain the fundamentals to anyone new to property investment. I want to share my knowledge and experience to help others successfully establish their own portfolio to grow their wealth & achieve financial freedom. Facebook fans 49. Twitter followers 30. The Mac Theatre Belfast About Blog Belfast Property Meet's goal is to bring both aspiring and established landlords, investors, industry professionals and other property experts together to share ideas and expertise in all areas of property and property investment, and be recognised as the premier resource for property education in Ireland. It is a place to grow or gain through contact with like minded people. Facebook fans 824. Twitter followers 612. About Blog Assured Property Group are experienced property advisors and make investing in property easy and affordable. Our property investment blog brings you all the best articles from industry investment property experts. Facebook fans 5,395. Twitter followers n/a. Sydney About Blog McCarthy Group provides tailored property solution to meet your financial goals. We offer investment advice, mortgage reduction and tax planning services. McCarthy Group can help you easily own an investment property even if it seems out of reach. Our mission is to release you from the burden of interest and tax to provide you with better control of your finances. Facebook fans 3,479. Twitter followers 220. Christchurch City, New Zealand About Blog CPIA is your one-stop shop for information, support and insights into Canterbury property investment. If you're just starting out on the property ladder or already have a significant portfolio the CPIA is a great way to learn more about the industry, keep up to date with the latest initiatives and meet other investors. Facebook fans 545. Twitter followers 7. About Blog Mirren Investment Properties' Buyers Agent shares insights on how not being Investment Ready may cost you money. We help people invest in property safely so they can maximise their property investments. Get Independent expert advice in property investing to take the worry away. About Blog Wealthladder is the best property investment mentors in the market. It organizes seminars & webinars for investors. Also get access to our property investment eBooks and Whitepapers. Get a complete knowledge about property investment from our experienced property coacher and mentors. Check out the property investment tips delivered by our trainers. About Blog We work to provide home owners and property investors with helpful, relevant advice on whatever path their property journey is taking them on. Facebook fans 931. Twitter followers 71. Manchester, England About Blog The concept of 'Social Property Investment' was the accidental result of a practical housing research project facilitated by Amy Varle, in close conjunction with partners from across the public, private and third sectors. Facebook fans n/a. Twitter followers 8,816. New Zealand About Blog Property Club is the online resource for landlords in NZ. The club offers mentoring programmes, latest news in NZ property, comprehensive tools and services, and guide to creating wealth. Facebook fans 2,535. Twitter followers 255. Berlin, Germany About Blog Exchange of Information for Property Investors and Property Professionals. Focus on Investments in Berlin and Germany but not only. Facebook fans 412. Twitter followers 591. About Blog BH Properties combines the experiences of a partnership of a local Manchester property landlord investing since 1998 with a portfolio of numerous properties and a US investor with experience building single family homes, renovations of apartment complexes, investor in land and owner of a licensed bridging company from the US. Facebook fans 31. Twitter followers 175. Kirkland, WA About Blog The vision of The Waln Team is to maintain the highest possible standards in the real estate industry while establishing our agency as the preferred real estate company within our market area. Our mission is to provide our clients with the most professional, informative and beneficial service in the industry by utilizing our unparalleled experience, skill set and resources. Facebook fans 318. Twitter followers 17. Miami, FL About Blog Fleitas PLLC represents businesses and individuals in both commercial and residential real estate transaction; finance; and leasing matters. The firm also handles land trust; joint venture; and title insurance issues. Follow the Fleitas PLLC blog to learn more. Birmingham, England About Blog Shape Property is an innovative property management and investment company, providing a bespoke service helping you build and manage your property portfolio. Our passion and enthusiasm for property is focused on you, the client. The key to our success is our approachability and willingness to listen, understand and respond to our clients needs. Facebook fans 135. Twitter followers 217. Mountain View, CA About Blog Reed Goossens is a serial entrepreneur, real estate advisor, property investor, author and public speaker. Follow his tips on multifamily investing and real estate investing. CONGRATULATIONS to every blogger that has made this Top Property Investment Blogs list! 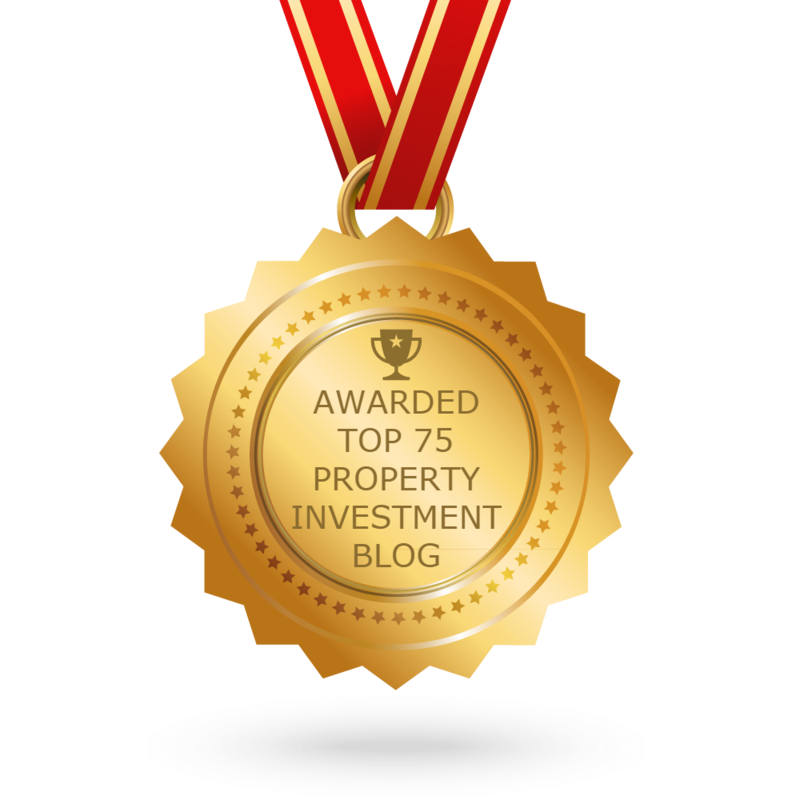 This is the most comprehensive list of best Property Investment blogs on the internet and I’m honoured to have you as part of this! I personally give you a high-five and want to thank you for your contribution to this world.